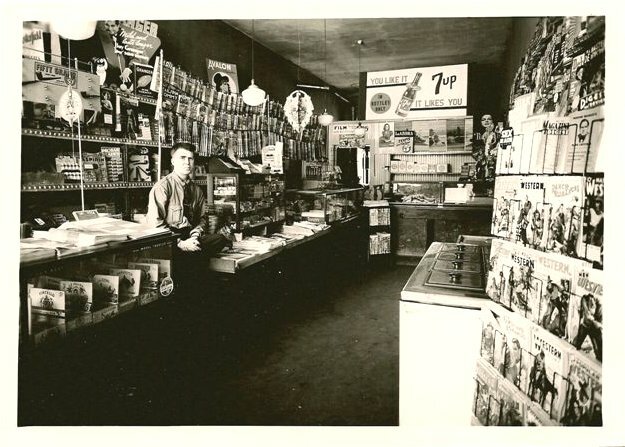 Virgil at the counter, customers included Charles Spittler standing at the pinball machine. 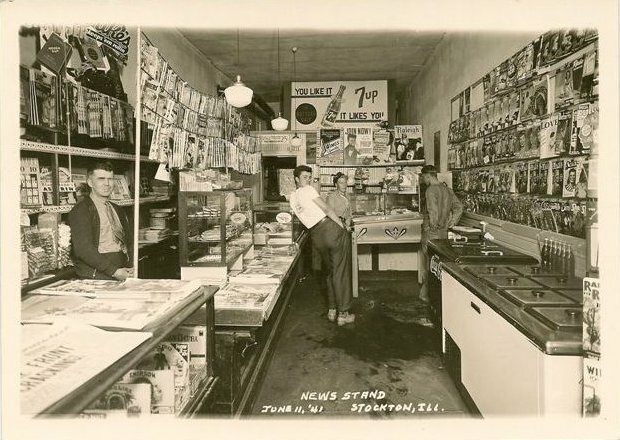 Virgil Hager at the Stockton, Illinois Newstand in mid 1930's. --- Owned by Allen "Patty" Morse.